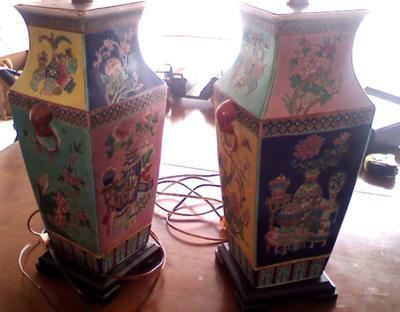 I have a matching pair of Chinese vases that have been converted into lamps. 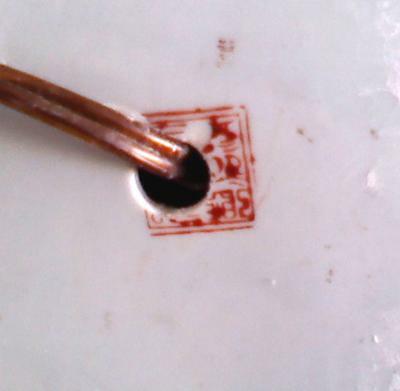 As a result, there are holes drilled through the marks. Some of the characters are still visible. If possible, I'd like to find out the age of the lamps, and any other information that can be told about them. Thanks for uploading the pictures. After seeing them I still think they are second half of 20th century, possibly a bit earlier but not earlier thatn 1930. 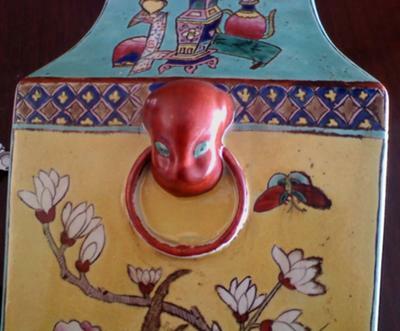 Sorry, it is sometimes difficult to give narrower timeframe for items that are not very typical of a certain period. 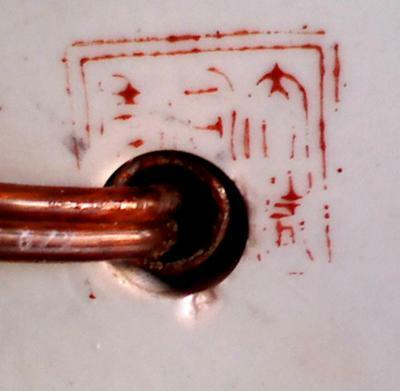 The mark seems to be a Tongzhi reign stamp, but is probably spurious as the item looks rather to be from the 20th century, possibly from the second half. A picture of the bottom and foot rim, and clear pictures of at least two sides with decoration would be needed to say anything more.